All inclusive tour arrangement is the main service provided by our agency to the travelers. Two weeks before your arrival in Ulaanbaatar we will introduce your guide and driver through e-mail. Besides that, by this time you will receive a mail, which includes the special advice for you and for your friends. This will give you a nice chance to get to know the person, who is guiding you in Mongolia and assisting with other travel service. Also your identification copy with personal information is necessary for to buy tickets on domestic flights and to arrange tour. Generally, trip booking is officially confirmed by deposit. Deposit online payment can be done by credit card such as Visa and Master at our web site, or bank transfer, or cheque, or worldwide money roaming network. The deposit should be done before 6 weeks prior the travel start date. The deposit will be for your hotel room booking, domestic flights and petrol and more, so it is non-refundable amount. After the deposit paid, the cancellation could be done by the subscribers. 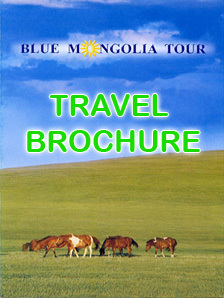 In this case we will keep Holiday Contract agreed by Blue Mongolia Tour agency and Traveler. OUR GUARANTEE: When you need to get the visa authorization for traveling and visiting in Mongolia before or after the tour confirmation, we are able to assist on your issue. If you need to get support from professional organizations or associations, we can recommend someone best suited to meet the needs.